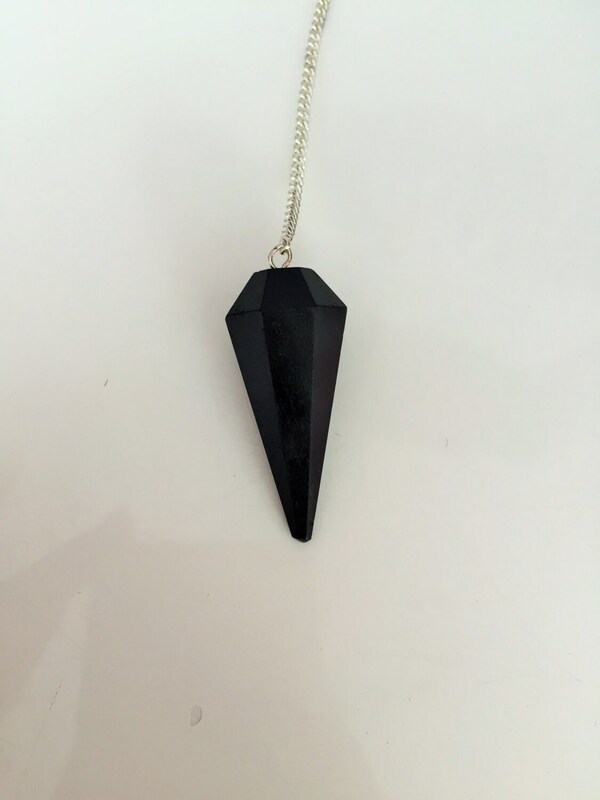 This Black Tourmaline Healing Pendulum is a shamanic stone, providing protection during ritual work. It can be used for scrying, and was traditionally used to point out a cause of trouble or an offender, and to indicate a good direction in which to move. SIZE:Pendulums are 6-sided with a silver chain. The pendulum measures about 7" long with the gemstone itself measuring approximately 1.5"-2" long. Black Tourmaline is an excellent grounding crystal for meditation and healing. Soothes panic attacks, especially those caused by dark or confined spaces, or in places where the atmosphere is frightening. To use Black Tourmaline in purification and protection rituals, create a ring of eight small natural tumble stones for a protection circle or place upon an altar. ♥ Want to see our variety of pendulums? Secure packing, quick shipping, very nice item, good follow-up, thank you! Love the item, fast shipping. Thanks!